Today we have officially opened the Old Caledonian Bed & Breakfast for business! Penny and Jon (with some help from Jon’s folks and our friends John and Sharon at the Crabapple Cabin) have been working like crazy for the past several weeks decorating, cooking, building, planting and shining at the historic Ruggles-Evans-Dent house to get it all ready for this day. We are so excited to be able to share our home with you. Please come see us soon. By the way, here’s a photo of what we served for breakfast this morning: the Old Caledonian’s Iron Eggs. 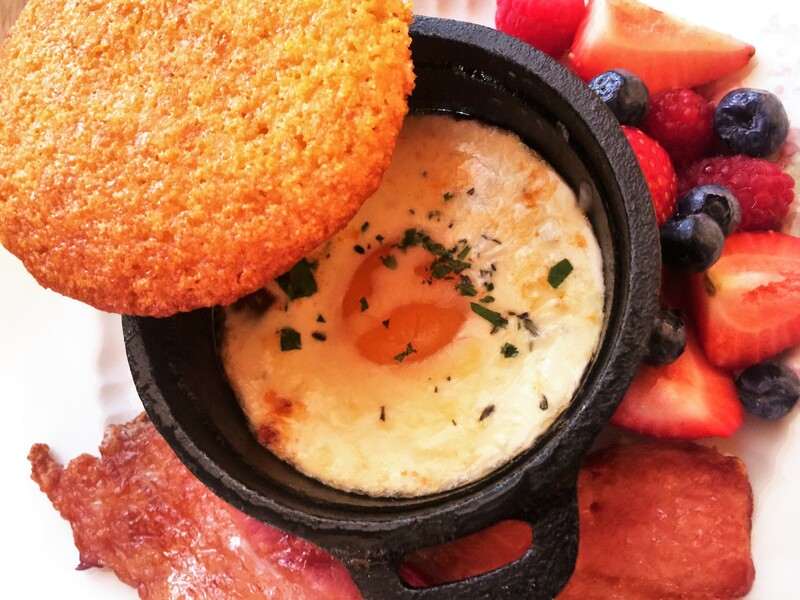 They’re layered with farm fresh eggs, onion-tomato jam (made with produce right from the farmers’ market), cream, garden herbs, cheese and topped with sweet cornbread; all served in individual cast iron pots. It was a huge hit! It’s our first night of a two night stay at Old Caledonian Bed and Breakfast and we are really enjoying their great service and hospitality. After reading about the fresh local meat and produce Jon uses to prepare meals, we are looking forward to breakfast. Their home and our room is warm and inviting with all the comforts of home and then some! We would recommend staying here to anyone looking for accommodations while visiting this area.